Today’s snow day happened to coincide with my “day off” and I was free to stalk my older son as he joined his buddies to freeze their hindquarters off on Lourdes Hill. Taking pictures of big kids is so different from taking pictures of little kids. And taking pictures of big kids outside on a hill full of snow in the biting wind with even more snow coming down is even more different. 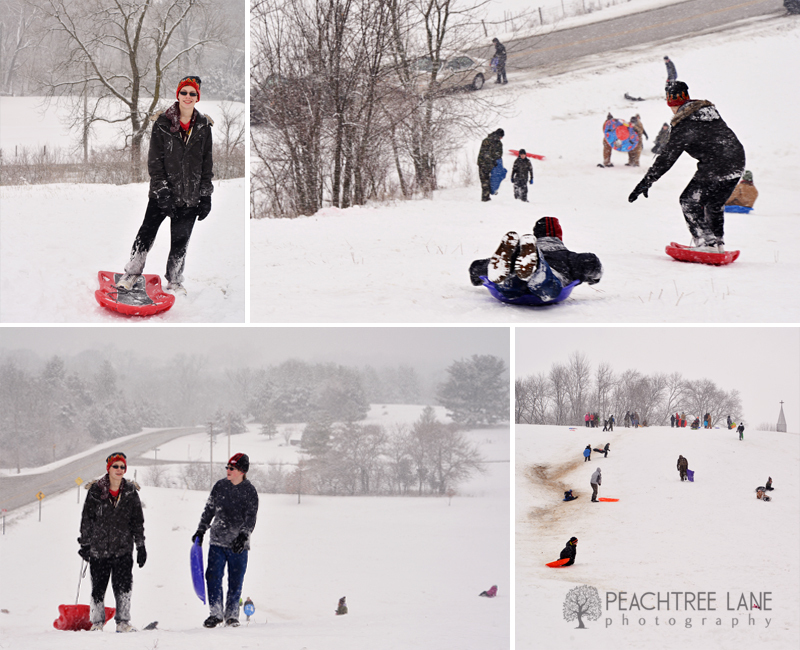 Not the ideal day for photography, but I nevertheless accomplished my mission of capturing my teenage son enjoying the simple, classic winter pastime of sledding. 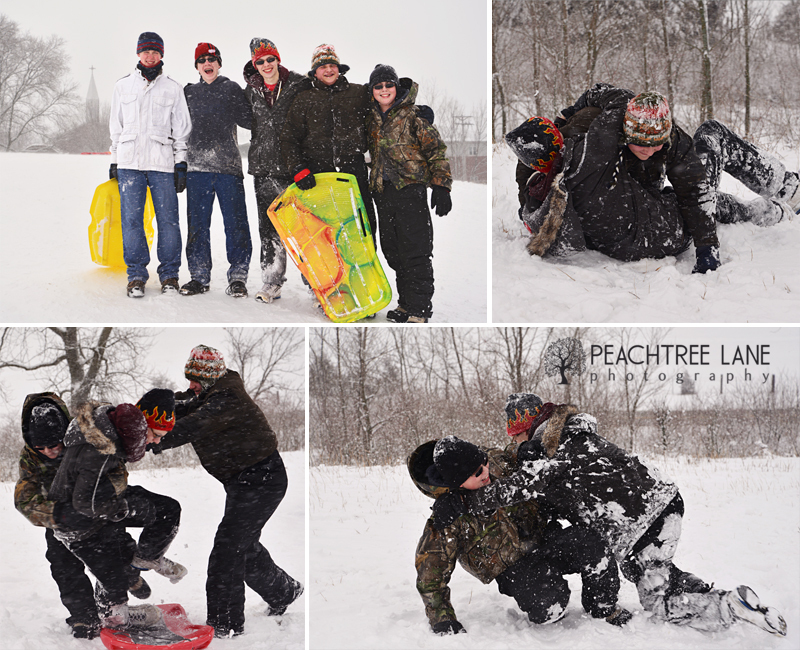 And snow wrestling. And freezing his hindquarters off. 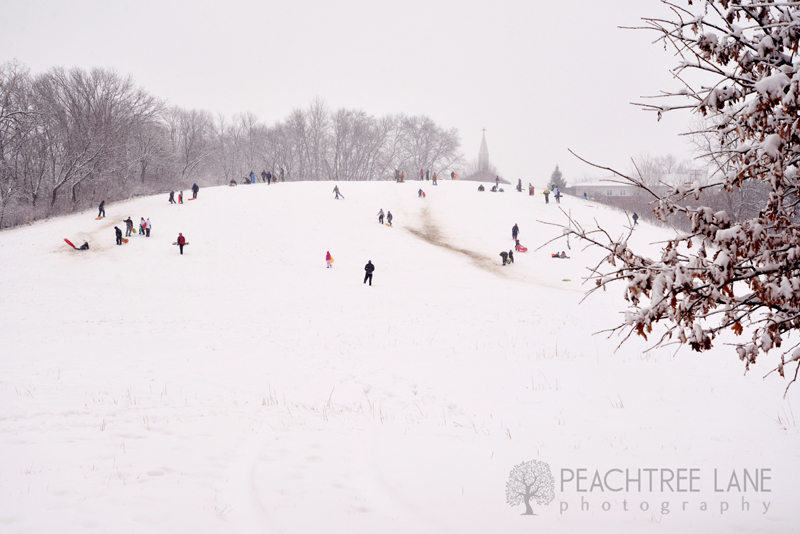 This entry was posted in My Kids, snow and tagged germantown hills photography, metamora il photography, outdoor photography, peoria illinois photographer, sledding, snow.